A lot of us rely on third-party repair shops when our Macs go bust. 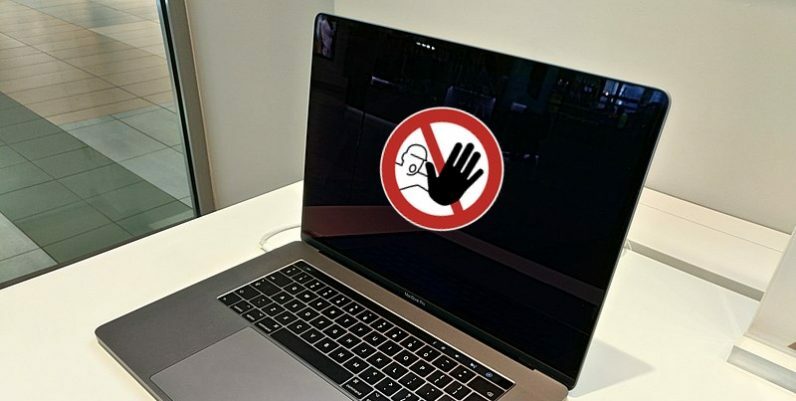 But according to a report by MacRumors, Apple’s new security chip (called T2) will prevent any component replacements in the new MacBook Pros and iMac Pro from non-authorised repair centers. An internal document – distributed to Apple Authorized repair centers – obtained by MacRumors suggests that after replacing components, a ‘system configurations’ software checks if the replaced parts are authentic. After a T2-equipped Apple system is repaired, it’ll only boot up if a diagnostic software called Apple Service Toolkit 2 gives it a green signal. The software is only available to authorized repair centers, and functions only when connected to Apple’s Global Service Exchange (GSX) cloud server for repairs. The security check applies to repairs involving the display, logic board, Touch ID, and top case including the keyboard, battery, trackpad, and speakers for 2018 MacBook Pro. Meanwhile, for Mac Pro, the check only applies to logic board and flash storage replacements. Apple’s new policy might hurt a lot of small-time repair shops who had built up relationships with customers by offering good service. Customers who don’t have an authorized service center in their area will also face difficulties in getting their Macs repaired. We have asked Apple for a comment and will update the story accordingly. Apple is currently fighting “Right to repair” legislation in the US which would require the company to make repair parts, tools, repair guides, and diagnostic software public. Earlier this year, Apple refused to replace troublesome iPhone batteries if the devices passed a diagnostic test – but later relented and offered unconditional replacements. Hopefully, it’ll see sense in this instance as well.